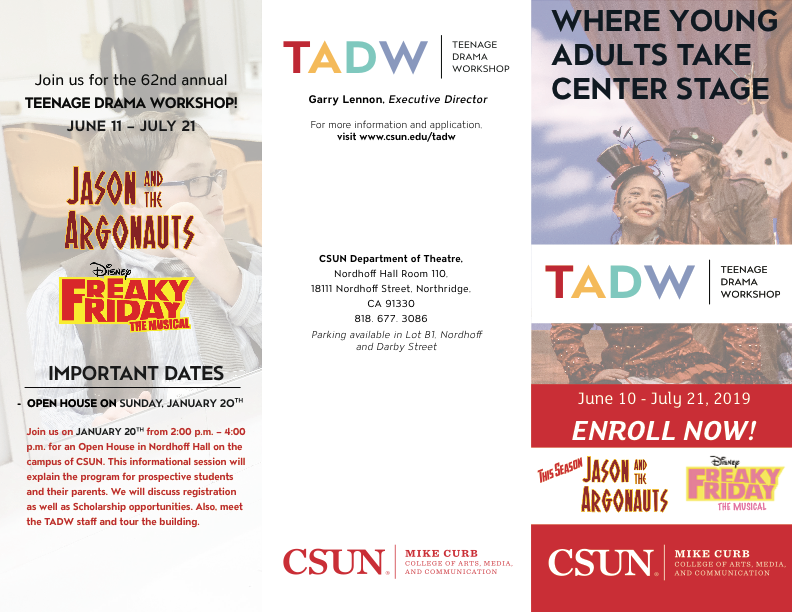 The award-winning Teenage Drama Workshop (TADW) offers teens (those going into 7th grade through those just graduating 12th grade) the opportunity to develop skills in the theatre arts in a six-week, conservatory-style, Summer program on the campus of California State University, Northridge. This Season - June 10 thru July 21, 2019 – ENROLL NOW! This summer features two fun, song-filled productions, Freaky Friday & Jason and the Argonauts PLUS a festival of student writing, A 10 Minute Play Festival AND, an evening of Improv Comedy. Our summer concludes with a final day of showcases, awards, food, and fun that we call Munch & Crunch. 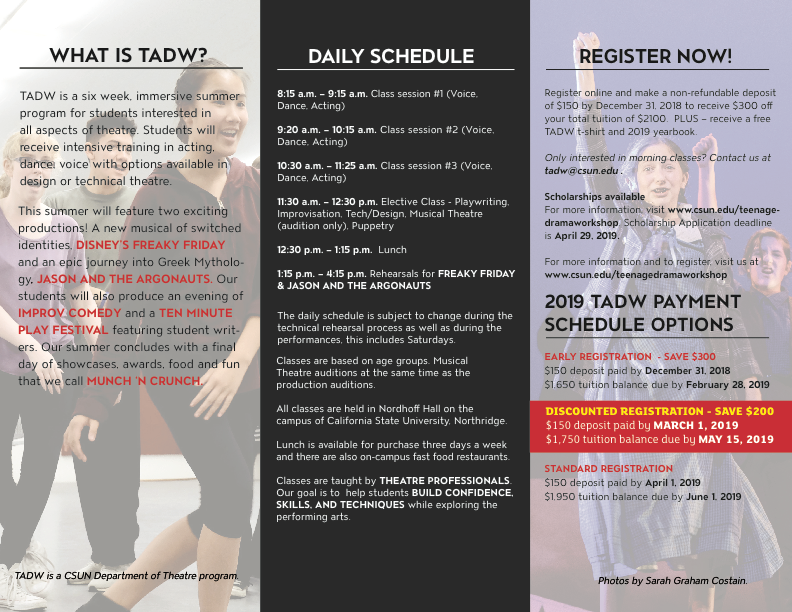 This summer will feature classes in Acting, Voice, Dance, Musical Theatre (audition only), Improvisation, Playwriting, and Design/Technical Theatre. Only interested in morning classes? Contact us at tadw@csun.edu .